Bloomingdales 20% off Friends and Family kicked off. As I mentioned here, if you want the old Planetes (or anything from Longchamp), this is your best bet! For those who are unfamiliar with department store blanket sales, there are a ton of exclusions. Look for the ‘FRIENDS & FAMILY’ under the item name. The sale goes through November 17. Use your Chase Freedom card for another 5% off! For those on the West Elm email list, 20% off any item. Today only. Check your email. I think the code is unique. 40% off sale items at J.Crew. The best part? It’s not final sale (and I don’t expect final sale to return until late December)! I’m checking out this silk dress (that’s a whopping 86% off), this skirt, and this blazer. Havaianas and some RMS that I wrote about previously are available as well. If you’re shopping for your guy, Bonobos is 25% off $175+. Too bad that Amex offer expired. Neiman Marcus (and their contemporary sister, CUSP) has $50 off $200 or $100 off $400 for the next two days. There are a ton of exclusions but Longchamp and Clare Vivier does work! Similar to Bloomies, look for the ‘November Dollar Off Event’ for qualifying items. Brooks Brothers is still having a sale and if you have an Amex, check your offers for a $30/$150 offer. Piperlime has 40% off final sale and 30% off sale through today. I also have some 20% off codes for non-sale merchandise (email me!). And this isn’t a sale but worth mentioning. Fans of the Mansur Gavriel bucket bag, Forever 21 has a convincing knock off. I never got a MG bag because I hate the thought of worn corners (and this should be fixed by their upcoming tumbled leather line. I bet this non-leather version is much more durable! Lucky Magazine’s deal of the day has select Spanx styles for 50% off. Some time over the late spring, Longchamp replaced the Planetes line with the Le Pliage Neo. I saw it at duty free and compared it to my own Planetes. The new line is glossier, satin like, less thick and stiff (not in a good way), and more casual – all of which I do not like. Planetes has always been my favorite line, so this is a bit upsetting. At first the new line looked appealing because the two smaller sizes come with a detachable shoulder strap, until you realize the strap is unadjustable. Though Planetes is going away, I’ve been using my large Planetes bag in black for 6 years and don’t plan on replacing it any time soon or hoarding another. 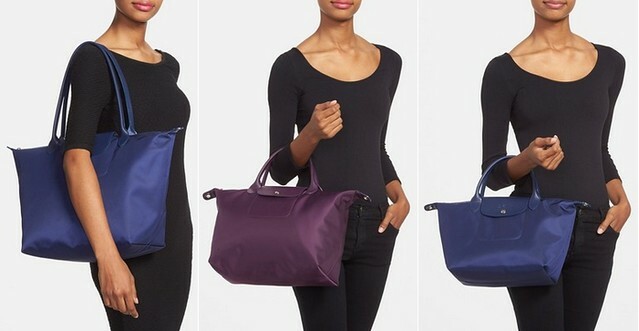 Longchamp.com – Largest selection, but I find the website hard to navigate. Once I ordered during a sale and it took them weeks to recognize that an item was out of stock. Nordstrom – Free shipping and amazing customer service. Participates in seasonal sales. Good photos of bags on models. Bloomingdales – Free shipping typically for orders over $150. Participates in seasonal sales. Sometimes it is excluded from sitewide promotions/friends and family discounts. Neiman Marcus – Generally free shipping (look at the top of the page) and is included in discounts/promotions. Sands Point Shop – I used to shop when they were known as Magnums. Free shipping and no tax outside of NY State. 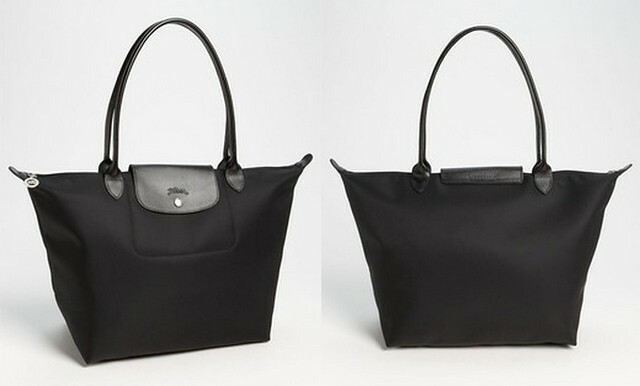 Bagshop – Longchamp is excluded from promotions. Free shipping over $75. Has discontinued colors/styles. And you can definitely expect cost savings if you buy it in France and meet the tax refund minimum.